This sample price: priced within the past 7 days for arrival on Thursday, August 29, 2019, departure from Boston Logan Intl, MA. Choose your own departure city and dates. 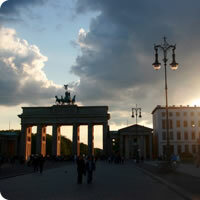 4 Customer Feedbacks Hotels in Warsaw and Berlin were satisfactory. A sweeping vacation package through beautiful, resilient cities in Eastern Europe. Begin this trip in Warsaw (painstakingly restored from damage left in WWII, the Jewish Quarter is a stark reminder of the city`s history, while the burgeoning nightlife is a pleasant surprise), Berlin (full of museums, opera houses, bustling pubs and a raucous nightlife) and Prague (the city of `1,000 Spires,` ancient civilizations wrestled for control of this city, and as such, there is a unique cultural blend happening here). Transportation between cities are by train. This is a flexible vacation package. Select your number of nights in each city, desired hotel and activities. Much of Warsaw`s historic center was painstakingly recreated and today`s Old Town buildings are closer to the original architecture than they were ever before. It has a wealth of shops and restaurants to potter around in. The city also boasts many green spaces, with leafy parks where rowing boats cruise past outdoor cafés, during the summer, and free classical concerts attract. In addition, the Former Jewish ghetto is a stark reminder of the unforgiving hand of history. The nightlife scene is equally surprising, with the city`s increasingly well-dressed youth flocking to the countless bars and clubs of a city that now hums after dark. Palace of Culture and Science, Royal Castle in Warsaw, Lazienki Park, National Museum, Copernicus Science Centre, Museum of the History of the Polish Jews, Zacheta National Gallery of Art, Wilanow Palace, and so much more! Rows of steeples stacked on onion domes pierce the sky, earning Prague the name 'The City of a Thousand Spires'. Prague has stood the test of time: 1,000 years of art and architecture have collided with power politics and religious conflicts. New shops and restaurants have opened, expanding the city's culinary reach far beyond tradition. The arts and theater are thriving in the 'new' Prague. 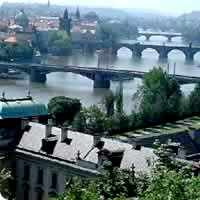 The arts of the new era possess a distinctive Czech flavor. All of this frenetic activity plays well against a stunning backdrop of towering churches and centuries-old bridges and alleyways. Prague Castle, Charles Bridge, Old Town Square and the Astronomical Clock, Wenceslas Square, the Jewish Quarter and so much more! Poland is a multifaceted country where the capital and medieval towns are trawled by modern city slickers, and where horse-drawn carts negotiate country lanes, untouched by progress. The enthusiasts of nature will surely enjoy the golden sand of its Baltic coastal beaches to the north and the rocky crags of the Tatras to the south. To those with a taste for history and its mementoes, Poland offers many painstakingly restored old town complexes, the Royal castles of Warsaw and Krakow, the former capital, and old palaces erected by Poland's magnates. The Czech Republic is where East meets West. Since the borders were completely opened up in 1989, tourists have flocked to sample the unspoiled charms of this fascinating and varied country. Full of architectural and artistic treasures Prague is undoubtedly the Czech Republic's brightest jewel, although Czech Republic is a lot more than its capital. Outside the city is an unspoiled expanse of mountains, spotted with small towns and villages. The idyllic rural way of life of centuries ago is preserved in many places, while towns such as Karlovy Vary have been revitalized as tourist centers.